Mix the maple syrup and balsamic in a bowl. 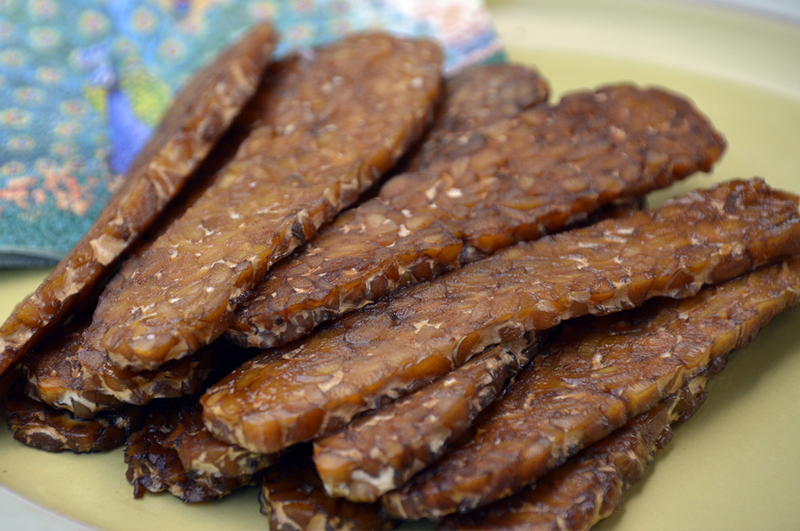 Soak the tempeh slices in the marinate for a few seconds, then line them up on a baking pan. Bake for 20 minutes, then flip the pieces over and bake for another 20 minutes.